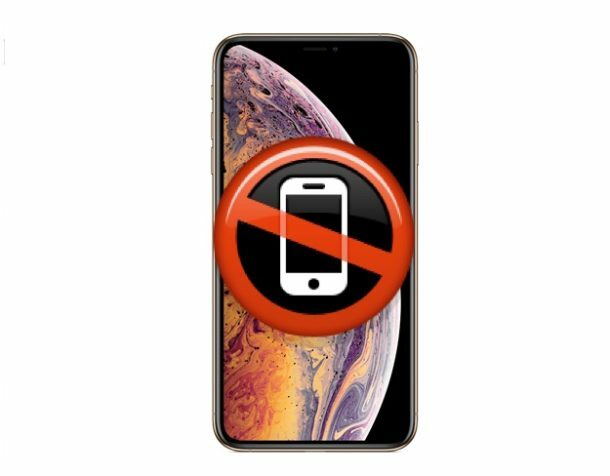 Some users have discovered that removing their iPhone SIM card, waiting a few moments, then reinserting the SIM card back into iPhone, has resolved their network issues. This is an easy process that is worth trying, since it appears to work for a fair number of users impacted by this No Service problem. I have had this problem and puzzled over it. I get a “no service” signal. Sometimes a “No Sim” message. In both cases, I have reestablished service by removing and reinstalling the Sim card. No loss of anything. and if all these ideas fail, as happened with me, don’t discount calling your cellular carrier. My problems presented as above, waste time as Apple tried to help and finally called AT&T who found they had an IMEI mismatch. Upon updating all worked fine. The IMEI problem had, somehow, gotten past their security and I suspect the update triggered something that made the issue more obvious. So…it was an AT&T mistake that went unnoticed until this iOS update. I am in Australia, and I first started to experience cell failures when I bought my iPhoneX (long term iPhone user). It would happen perhaps every 3 months, and the first indication might be an internet usage failure or unable to make a phone call. Restart the phone (didn’t even need to wait) and all fixed. When the iPhoneXS was released, I intermittently experience the same problem. It is at the level of inconvenience really, rather than show stopping. I have not discussed it with Apple as I don’t have sufficient clues, and cannot reproduce the fault. I don’t think it is a IOS12.x.x problem. The likelihood of Apple exploring my phone and finding the problem is probably non-existent. The phone showed zero signal strength. After resetting, I would have high signal strength without moving my position. Restartimg iPhone 6S is all I need to do to restore cellular. I use T-Mobile. Pull the SIM card out, then put it back on. That should do the trick. I think this is a simple config quirk with the wireless carrier, not the iOS release. Watson, except for the fact it’s happening with different carriers. I think this issue is Apple’s ball to carry. Agree that popping the SIM card out and in seems to do the trick. I had complete cellular failure on my XS after updating. All of the mentioned fixes had no effect. I took my SIM out and put it in another phone and found it didn’t work either. However if I put a different SIM in my XS it worked OK! It seems the updated messed up my SIM somehow. I have now moved to using the e-SIM and thankfully everything is now Ok. The “reset network settings” worked on my iPhone 5 SE. Well it happened to me also after updating.. xs max. had to call sprint from another phone and they honestly didn’t know what the deal was. Had me reset network settings and do the ## thing. After about 5 times of doing it the phone randomly started working again and no problems since. Not cool though. My Iphone 6 plus is draining battery to quickly, auto brightness is not working what should i do now :( this new update is not working properly. I reset my network setting after auto restart from this. I again restart my cell. now it work properly. hussssh!